Like many Frontier towns, Alicedale’s water infrastructure is almost as old as the town. Residents frequently experience burst pipes and leaks; but in a time of drought, these small issues have a big impact. “Well, the system is old and antiquated,” said resident John Bateson. 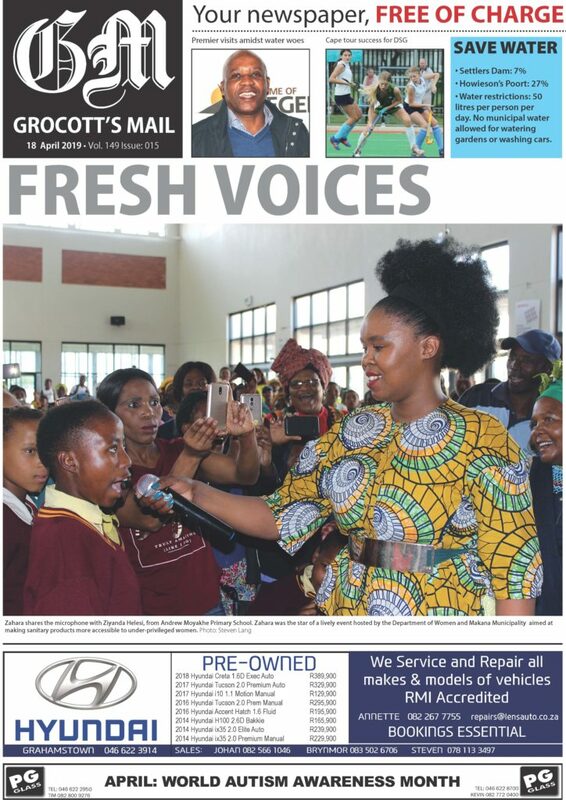 On the day Grocott’s Mail visited, the water was off in Alicedale due to a burst pipe. “We had probably three pipe bursts last week,” said Bateson. 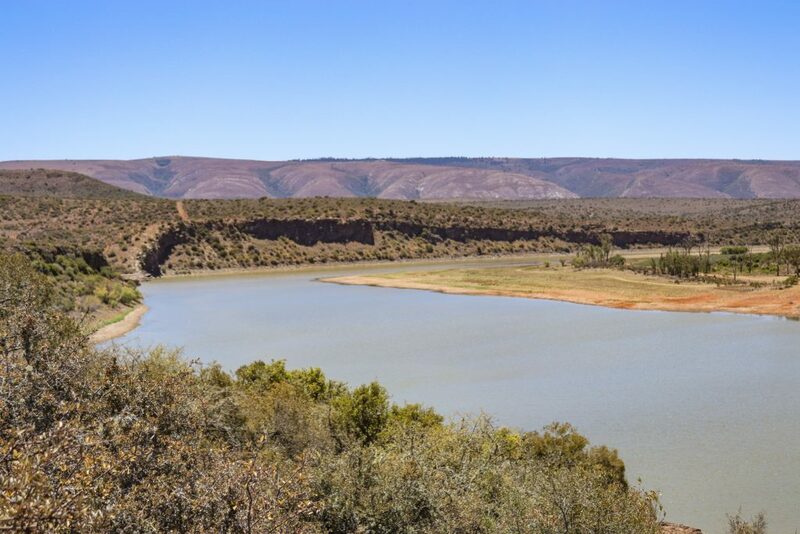 Alicedale’s water comes from the New Year’s dam; a large dam about six to seven kilometres long inside a local nature reserve. 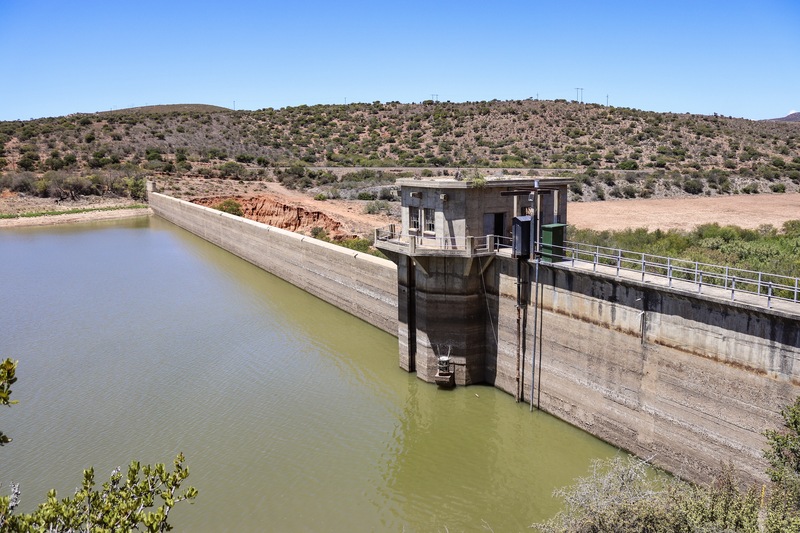 The dam is fed by the New Year’s River, which runs adjacent to the Bushmans River. “[The dam] was built by the railways during the age of steam,” said Bateson. “Six years ago we had a similar drought situation and [the dam]got down to critical levels. 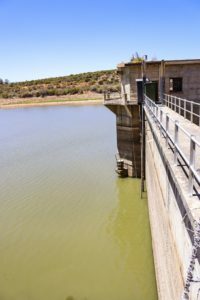 In fact worse than they are at this moment.” With summer heat continuing to scorch the Eastern Cape, Bateson said natural evaporation was slowly lowering the dam’s level. Unlike Makhanda (Grahamstown) which has several dams, Alicedale only has one. According to Bateson, the New Year’s dam level is currently sitting somewhere between 20 and 25 percent. However, this dam’s level is not published on Makana’s website, nor anywhere online. Makana was approached for comment to confirm Bateson’s approximation but had not provided a response at the time of publication. With Alicedale’s dam level dropping each day, our team found it strange that the community seemed far from panic. There are no posters or signs anywhere informing residents of the drought or any water-saving tips, and very few Jojo tanks for rainwater collection. Should the dam run dry, Konstant and Bateson emphasised that there was no known backup plan. There are very few Jojo tanks in the township and no public boreholes. Last week Makana announced a water crisis plan. 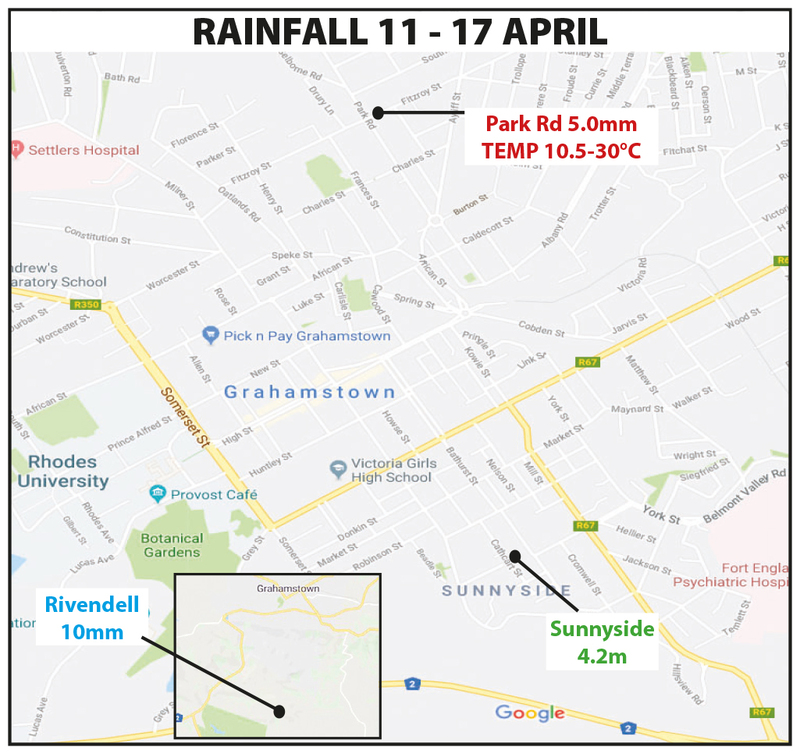 Readers can find this information online at makana.gov.za/water-crisis/ Also read: “Water crisis plan announced”. So far, the plan does not explicitly address residents in Alicedale.